Even though the following article was published by the tabloid National Enquirer, I've heard other spiritual rumblings coming out of the entertainment world. Not only has comedienne Dana Carvey made claims of channeling Robin Williams, a supposed incident transpired on a closed studio set as well. During the taping of a well-known television sitcom, several of the cast & crew witnessed Williams' apparition manifest and move among the observers. This incident was communicated to me by a reliable source who works for the particular production company. DANA CARVEY is telling pals he’s convinced there is life after death, because the spirit of his friend Robin Williams keeps appearing to him! 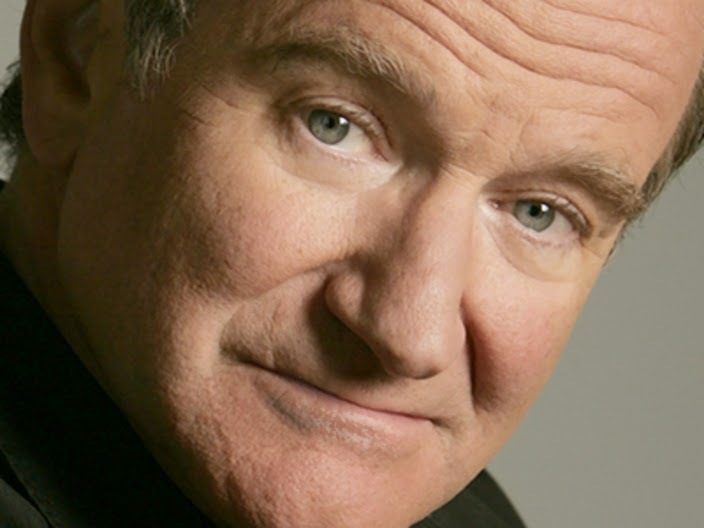 Sadly, Robin committed suicide on August 11, 2014, at the age of 63. Dana has good reason to worry about death – he survived a botched heart surgery in 1998. He filed a malpractice lawsuit and was awarded nearly $8 million in damages. Dana said he’s putting those visits to good use. Both his sons, Dex and Thomas, are starting out in stand-up comedy, and he seeks advice from a ghostly Robin. Dana admitted missing their carefree days when he and Robin honed their routines as young stand-ups. “We weren’t making a dime in those days, we were just having fun and when I see Robin in my dreams, it’s in those happy-go-lucky days,” he said.